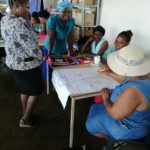 We celebrated the launch of our first library on Tuesday 2nd December at Ekurhuleni Centre for Orphans and Vulnerable Children in Tintswalo Village, Acornhoek. 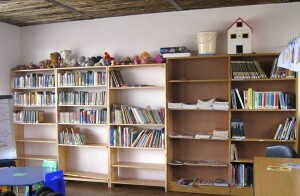 Zingela Ulwazi built the shelves, purchased library materials and co-ordinated training and donations. 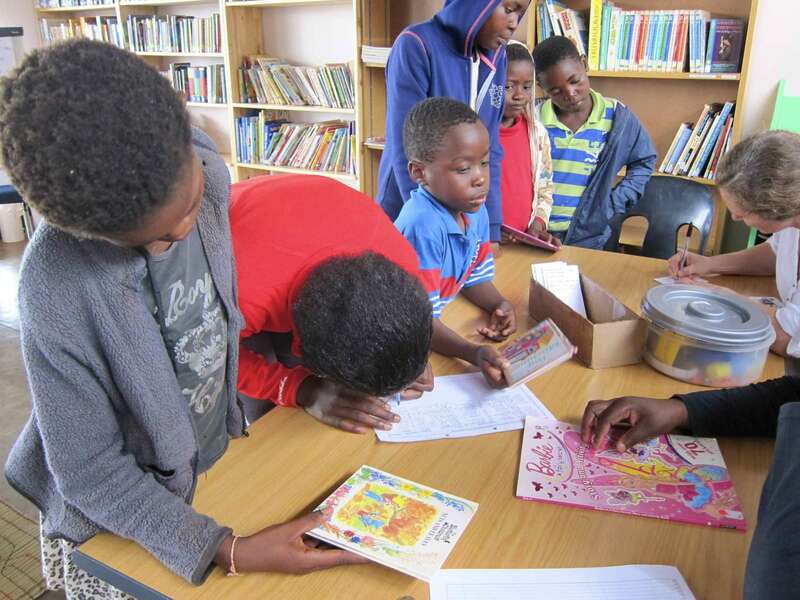 Over 700 books were donated by the public, most of which were collected by Gloria Horgan of Gauteng, who is 83 years old – an incredible volunteer effort! This is what 700 books looks like! We have room for many more …. 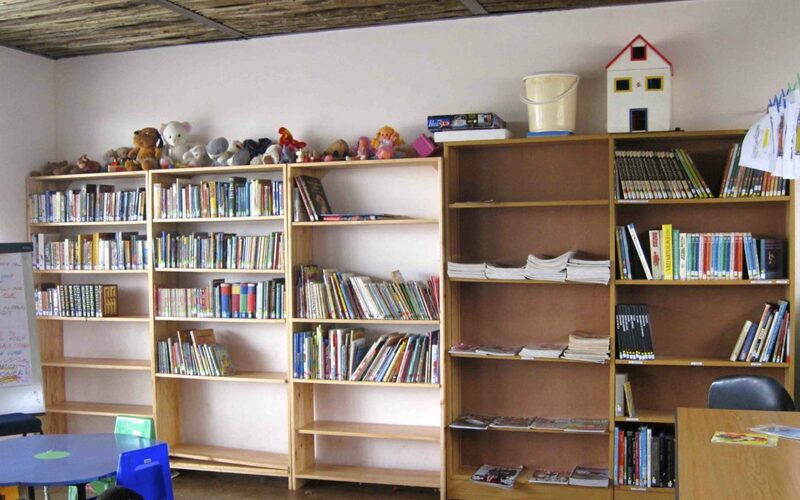 The children at the Orphan Centre were very excited to have their own library. They immediately dove in and selected books to take out, which was wonderful to see. Many of them sat down and started reading right away. 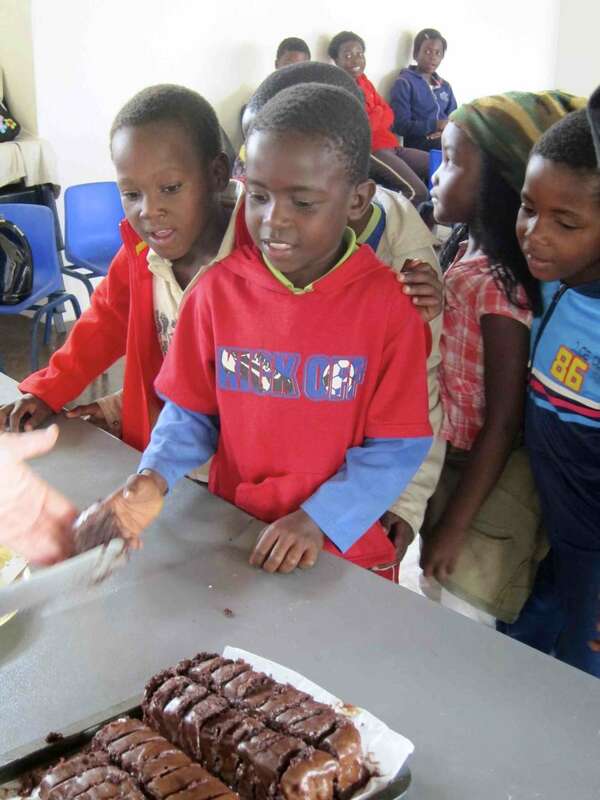 The only thing that could tear them away from the books were the homemade cakes, dripping in icing, that made the launch a true celebration! 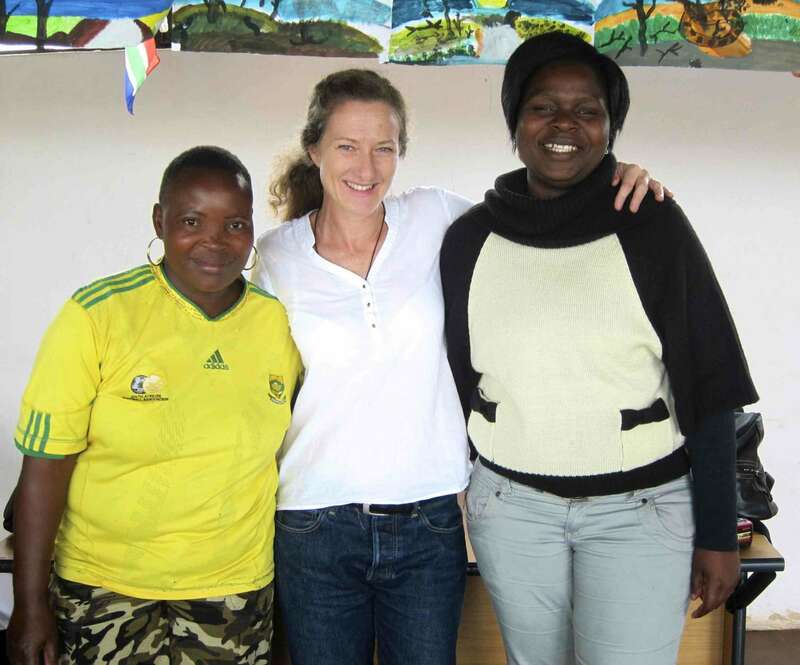 Lillian Marule, Stella Horgan and Qolani Masilane - the library team. 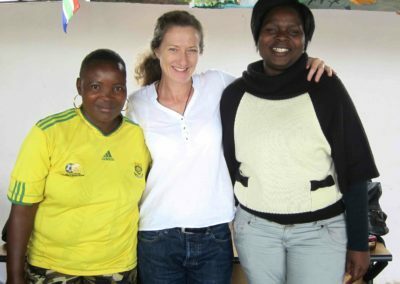 Our collaboration with like-minded organisations really makes things happen. 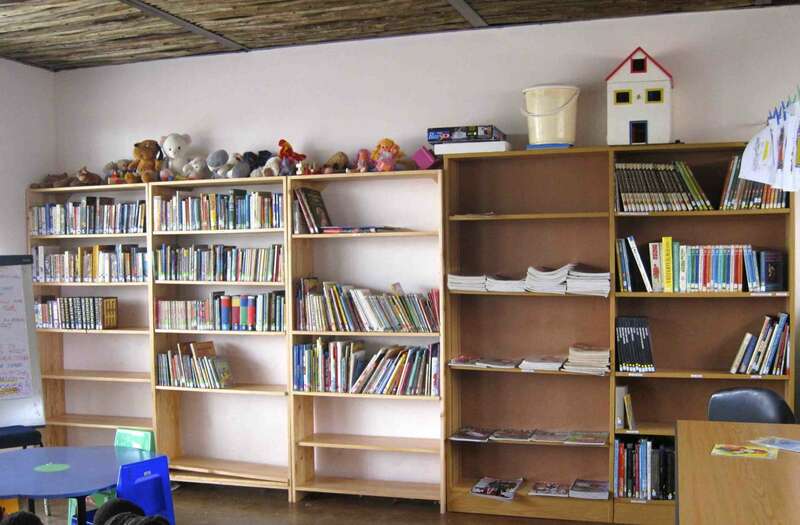 We thank our friends at Seeds of Light, the National Library of SA for their book donations, Rodney and Vanessa at Splinters for discounting the shelving and Room to Read, who trained the carers and volunteers at Ekurhuleni in Basic Librarianship. 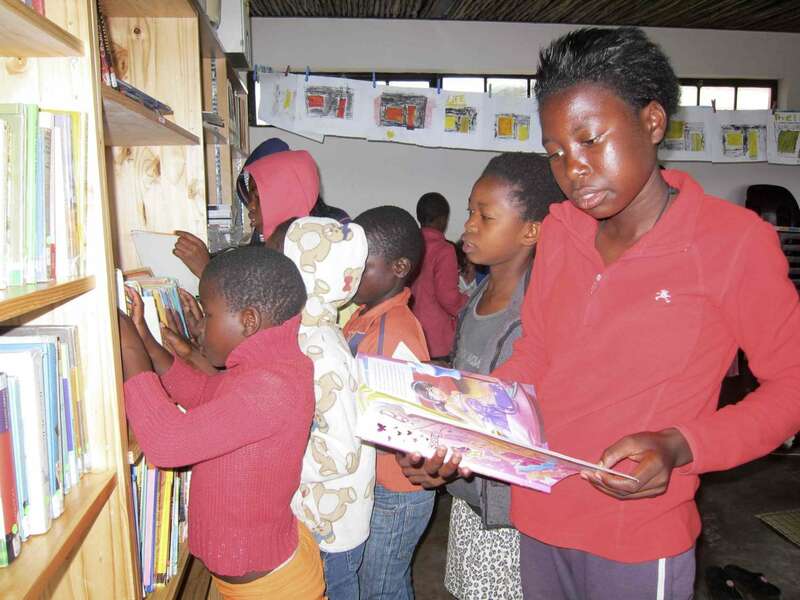 Zingela Ulwazi is continuing to collect donations of books to expand this library, and to build others. 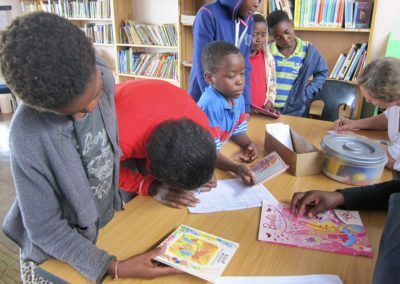 Our next goal is to develop Ekurhuleni’s library in a dedicated building, with a full collection, so that the community can also use it. 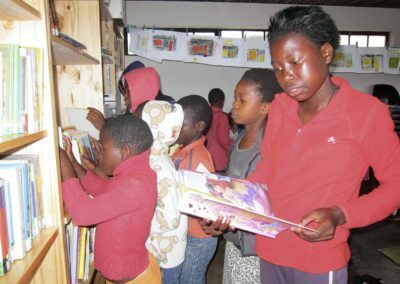 We have been offered a large shipment of books from the USA which will arrive in early 2014, as well as some serious collections from local book lovers, which will enable us to develop eight libraries next year, some of them in converted containers in rural Limpopo. We will be needing a space where we can offload pallets from the container and sort the books – we are appealing to the Hoedspruit, Acornhoek and surrounding communities to assist us with such a space – a warehouse, vacant shop, house or water-proof packing shed / hangar would be ideal. 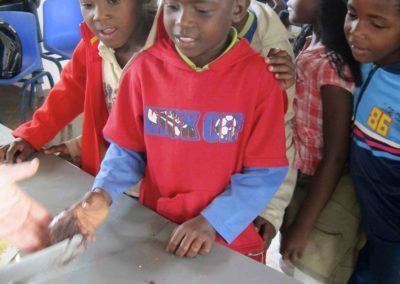 Please contact Stella at stella@zingelaulwazi.org.za if you can help or would like to donate, assist us with space or the many tasks that contribute to building a library.